Back in 2012/13, Alex Bis­so drew upon his many years of find­ing and col­lect­ing cot­ton­wood bark and authored a five part series aimed at those who might want to try find­ing and col­lect­ing cot­ton­wood bark on their own. With Spring FINALLY arriv­ing here in the US, this seemed a good time to revis­it those arti­cles. If you want to try your hand at gath­er­ing your own bark, you will find invalu­able infor­ma­tion in these arti­cles. 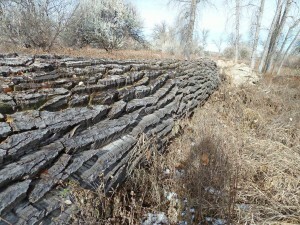 (Please note that Alex is no longer active­ly col­lect­ing and sell­ing cot­ton­wood bark).